Polokwane City will be out to close the gap on Absa Premiership leaders Bidvest Wits when the two teams meet at Old Peter Mokaba Stadium in Polokwane on Sunday afternoon. Kick-off is at 3:30pm CAT. Polokwane are unbeaten in their last four league matches and claimed a 3-2 home win over AmaZulu earlier this month, with goals from Bongile Booi and Walter Musona (two) leading the Limpopo club to victory. Rise and Shine have taken 14 points from nine home matches this season, though they have suffered defeats as hosts to Mamelodi Sundowns, Orlando Pirates and Cape Town City. Wits suffered a fourth defeat of the season when they were beaten 2-0 at home by Kaizer Chiefs. The Johannesburg side also finished the game with 10 men following late red card for defender Robyn Johannes. The Clever Boys have claimed 20 points from eight away matches this season, with their last result on the road a 2-1 win at Free State Stars earlier this month. When the teams met earlier this season, at Bidvest Stadium in September 2018, Polokwane won 1-0 thanks to a goal from Jabulani Maluleke – despite playing most of the game with 10 men following an early dismissal. The result broke a seven-game unbeaten run in the rivalry for Wits. “We must be humble and we must work,” said Vukusic. “I tell the guys to ‘play with passion’. But I don’t speak about targets. The targets are there from the first day and it’s fine, but it’s still only 16 games and we have 14 left. 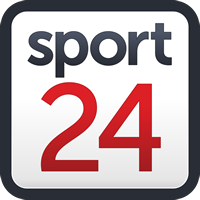 “Yeah, it is valuable points dropped, but with two points [ahead of Orlando Pirates at the top], we’re still okay,” said Hunt. “If you told me in the beginning of the season, I would have taken the two points. Jabulani Maluleke: The Rise and Shine midfielder has been key to Polokwane’s surprising run of results this season. Following successive defeats to start the campaign, City have only lost two games since and find themselves more in a title challenge than anything else. Maluleke’s vision and creative spark has been integral in the club’s rise up the log standings. Ayanda Nkili: The centre-back has brought much needed stability to the Polokwane backline. He has played every minute in the club’s last 10 league fixtures, firmly establishing himself as an important member of the squad. Coming up against a wounded Wits outfit, Nkili will have to be at his best once more as Rise and Shine aim to shut out Wits and claim all three points. Deon Hotto: Top of the assist charts, the Namibia international has been Wits’ main source of creativity this season. Hotto has accumulated seven assists in 17 league fixtures and will be hoping to add to his tally as Wits aim to extend their lead atop the league standings with victory in Polokwane. Thulani Hlatshwayo: The Clever Boys skipper will be desperate to lead his side back to victory following defeat to the Amakhosi last time out. Having watched his team lose their cool in the dying stages of that clash, he will know the importance of bouncing back in Polokwane against a confident City side who will pose a great defensive problem.